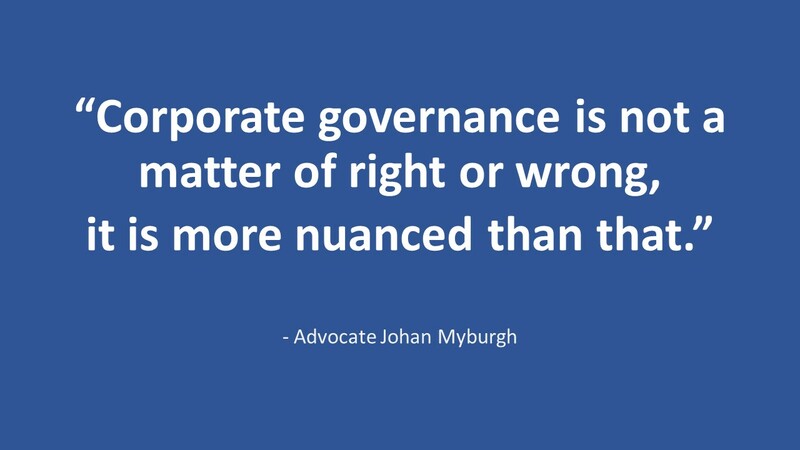 One issue which, and rightly so, is and continues to be central to doing business is that of ‘corporate governance’. That system of rules, practices and processes by which an organization is directed and controlled. What also becomes important is the fine balance between the ‘ease of doing business’ and regulation thereof. 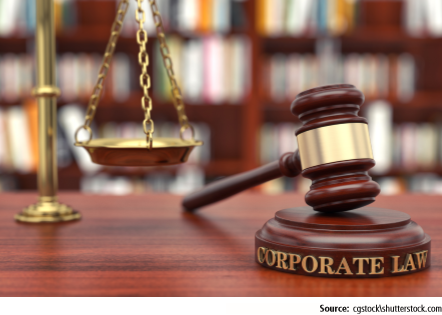 About a year ago, in October 2017, a SEBI constituted committee on corporate Governance, chaired by Mr Uday Kotak released a report which dealt extensively with various aspects of corporate governance of listed entities. A year on, the Government has recently (on November 2, 2018) notified the companies (amendment) ordinance, 2018 (ordinance) amending various sections of the companies act, 2013 (CA 2013). This ordinance is an example of this delicate balance between the ‘ease of doing business’ and regulation towards the end of achieving better corporate governance. One of the areas where the CA 2013 significantly departed from the companies act, 1956 (CA 1956) was in the areas of strengthening penalties, and making serious offences non-compoundable in nature. While the CA 1956 may have needed some correction, the CA 2013, owing in part to the fact that the same was drafted and notified in the wake of the Satyam scam, possibly went a bit too far in certain areas. While the initial thought process behind the CA 2013 was to simplify the codification of company law and achieve greater corporate governance but not necessarily with significantly increased compliance, the initial form of the CA 2013 likely leaned towards considerably increased compliance and reporting requirements. Any such process of transition from one body of legislation to another is an evolutionary process, and it is only with practical experience that issues surface, and appreciating this the Government has from time to time amended and further provided exceptions from the applicability of certain portions of the CA 2013 to certain types of entities. It would not be wrong to say that the journey of the CA 2013 much like the concept of corporate governance has been an evolutionary one, and continues to be so. While the CA 2013 has evolved considerably from the time of its notification, one of the key criticisms has been that the same imposes considerable and serious penalties and criminalized offences which are relatively technical/ compliance related. To seek to address this issue, the central Government set up the committee to Review offences under the companies act, 2013 (Review committee). One of the other key aims and one could say juxtaposing purposes sought to be achieved by the Government in setting up this review committee was to propose amendments to deal strictly with ‘shell companies’ purportedly used to launder ‘black money’. Therefore while on the one hand the review committee had to look for ways in which it could liberalize certain aspects of the law, it also had to seek to achieve much stricter corporate governance in others. Basis the report released by the Review committee, the ordinance to further amend the CA 2013 was promulgated on November 2, 2018. towards increasing the ‘ease of doing business’, the ordinance has revised the penalties for various offences to confine the same to a financial penalty (without any element of discretionary or mandatory imprisonment). This coupled with the fact that the ordinance also amends Section 441(6) of the CA 2013 such that only offences where imprisonment is a mandatory component (as opposed to a possible discretionary component) of the punishment (with or without fine) are not compoundable, has significantly increased the power of Regional Directors to compound offences. Some of the key offences that remain not compoundable are contraventions of Section 447 (punishment for fraud); Section 8 (formation of companies with charitable objects); Section 40 (Securities to be dealt with on stock exchange); and Section 90 (register of significant beneficial owners). Further the pecuniary jurisdiction of the Regional Director for compoundable offences has been increased from INR 5 lakh to INR 25 lakh. This has provided significant relief in various areas, also specifically positively impacting director liability. At the same time, to be able to curb the proliferation of shell companies, Section 11 of the 1956 act which was omitted in 2015 has been brought back as Section 10a of the 2013 act. Henceforth, no company having a share capital can ‘commence any business or exercise any borrowing powers’, unless (i) a director files a declaration with six months of incorporation stating that every subscriber to the memorandum has ‘paid the value of shares to be taken by him’; and (ii) a verification has been filed by the company of its registered office within thirty days of incorporation in terms of Section 12(2) of the 2013 act. Upon a failure to do this, the registrar, has been empowered to initiate the process for striking the name of company off the register. Further, a new Section 12(9) has been inserted pursuant to which, where a registrar has reasonable cause to believe a company is not carrying on business at its registered office, he may carry out an inspection and initiate the process for striking the name of company off the register. The above is indicative of the fine balance that the legislature has sought to achieve, while at the same time the evolution of law continues to some extent to be a reactionary response to certain specific examples of gad corporate governance which may still not be addressed by increased regulation. By way of the companies (Amendment) act, 2017 (Amendment act), the concept of significant beneficial owners and their disclosure obligations was introduced in Section 90 of CA 2013. this issue of who is a ‘beneficial owner’, especially when a shareholder is an incorporated entity, or a trust for instance is a vexed one and basis various representations the declarations to be filed by significant beneficial owners and companies pursuant to the amendment act read with the rules have been put on hold. However, the Notice proposes and amendment which places an obligation on companies to take steps to identify if there is any significant beneficial owner and require such individual to comply with the provisions under CA 2013 in this regard. This would be an extremely onerous obligation on companies, now effectively tasked to investigate their own shareholders. It is also not clear whether a company would then be held liable if in the future any noncompliance with regard to a declaration is found, despite the company having taken possible best efforts to perform such an investigation. The notice proposes that, amounts which are to be allocated towards CSR activities, but which remain unutilised in a given financial year are required be transferred to a special account to be opened by the company in this regard with any scheduled bank. This account is to be called the ‘Unspent CSR account’, and the amounts therein will have to be spent by the company in pursuance of its CSR policies within a period of three financial years from the date of such transfer. This effectively makes CSR spend mandatory which is a significant departure from the ‘comply or explain’ paradigm under which this provision was introduced. The Notice proposes a cap on the maximum remuneration payable to an independent director such that, the maximum remuneration of an independent director payable by a company (including its holding, subsidiary or associate company) or its promoters or directors would be capped at 25% of such independent director’s total income. For computation of this cap on the maximum remuneration, the sitting fees payable to the independent directors would not be counted. Further, within the total cap on the maximum remuneration payable (i.e. 25% of the total income), fees payable for any professional or other services rendered by the independent director (except those prescribed) cannot amount to more than 10% of his total income. The industry already faces significant issues in identifying suitable independent directors, and this will undoubtedly have a further impact on this issue. Further this will also result in disparate treatment of independent directors based solely on their other sources of income when in fact the role expected to be performed would be the same. In summary therefore, corporate governance in India continues to be evolutionary in nature and the next few months are likely to see further significant developments, in particular the area of significant beneficial ownership being a particularly vexed one. One hopes that the legislature will seek to maintain a balance which achieves better corporate governance without excessive regulation.